We are really lucky there are lots of fantastic green spaces for you to explore and play, from fun in your garden or back yard, to the local park or the wilder parts of West Sussex. We haven’t included every local playground as the list would go on and on, we have focused on the main or bigger parks. Here are just a few ideas of exciting places to explore. 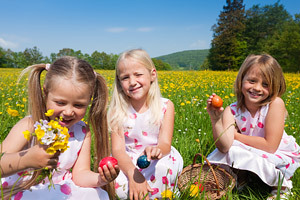 Don’t forget to email us your suggestions so other families can enjoy your green spaces too. Brooklands, Worthing – has a miniature railway, children’s playground, café, nine hole Par 3 golf course, pitch n putt, putting green, go-kart track, pony rides, paddling pool (open during the summer) together with some landscaped areas that provide year round interest for all ages. 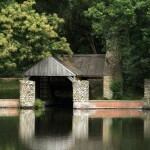 Horsham Park -This park is a haven of green space with a lake, trees, wildlife and colourful flowerbeds. Within the Park is Park House Garden, a tranquil landscaped sensory garden designed with the disabled and visually impaired in mind. For those wishing to be more active, there are tennis courts, a “Trim Trail ” round the perimeter (1.9km / 1.2miles), a permanent Orienteering Course, a very popular bowls green and a skate park. Also the Human Nature Garden, which offers an attractive educational garden illustrating the link between plants and people in their everyday lives. Goffs Park, Crawley – Set in over 50 acres just a short walk from the Town Centre, Goffs Park is the oldest of Crawley’s Parks. It has a lake, woodland walks, childrens play areas, conservation, pitch & putt, model railway, pub & restaurant, museum, refreshments, toilets and free parking. Or you could try the new walk4life mile at Goffs Park. 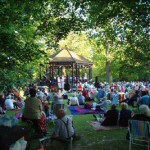 Hotham Park, Bognor Regis – Hotham Park is an area of 9 hectares (22 acres) located in the High Street. 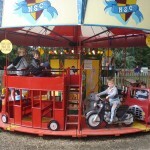 It has wild green areas, playgrounds, miniature railway, boating lakes and much more. They hold lots of events in the park throughout the year. 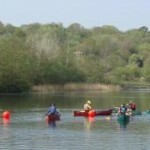 Southwater Country Park - With lakes, pushchair friendly walks, adventure playground and lots of water sports activities. 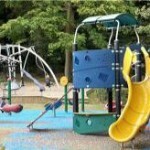 Crawley Play Service has four adventure playgrounds which have plenty of indoor and outdoor play space. Indoors you will find pool and table tennis tables, computer games and well-equipped art and craft areas. Outside you will find family picnic areas and places for toddlers to play as well as larger structures for older children with zip lines and climbing walls, net walkways, swings and ground level trampolines. All sites have areas for football, basketball and some have go-karts. Buchan Country Park, Crawley – With 170 acres of woodland, heath and meadow to explore, this park has won the Green Flag Award, which recognises the best green spaces in the UK, every year since 2010. It is an excellent place for walking, watching wildlife or enjoying a picnic. There are a number of sculptures dotted around the park which families can have fun hunting for. 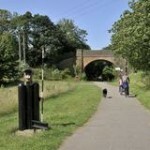 Centurion Way, Chichester – this pleasant short route follows along a disused railway path from Chichester to West Dean. The ride is flat and traffic free making it ideal for cycling families or walkers looking for a pleasant easy stroll through the Sussex countryside. Downs Link - this is one of several long distance footpaths and bridleways in West Sussex – it connects the South Downs Way near Botolphs south of Steyning with the North Downs Way east of Guildford. 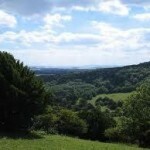 There are lots of books and websites detailing beautiful walks incorporating the Downs Link, here is one such site. Kingley Vale, Chichester – this is a special, spooky and spectacular hillside to the north west of Chichester. Within the National Nature Reserve there is a discreetly signposted nature trail organised by English Nature. The views from several places at and near the top are tremendous, both to the north and the south. Pagham Harbour, Nr Chichester – this is a Sussex Wildlife Trust Nature Reserve which is well known for its large tidal mudflats attracting thousands of birds throughout the year, including little egrets, and for the shingle ridges lining the coast which are a site for rare plants such as the childling pink. Pulborough Brooks, Pulborough – is set in the sheltered Arun Valley within the South Downs National Park. The Visitor Centre and reserve is open all year and boasts a great variety of habitats including wetlands, woodland, and heathland. 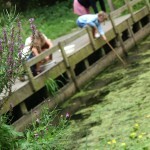 It is a haven for a wide range of wildlife, and a fantastic day out for people of all ages. Level paths suitable for pushchairs in dry weather. Beautiful walks in the area outside the reserve too. Sandgate Park, Sullington Warren, Nr Storrington – Wonderful bluebell woodlands, heathland, streams and ponds. 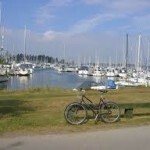 Salterns Way, Chichester – is an 18km cycle route from the centre of Chichester to the sand dunes of East Head. The route follows rural roads and cycle paths through the countryside. 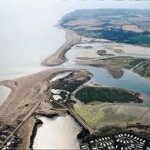 It has been funded by the Heritage Lottery Fund and is managed by Chichester Harbour Conservancy. 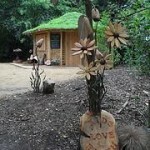 Tilgate Park, Crawley – Huge park, play area, nature centre, the Greenzone education centre that gives practical tips of how to reduce your carbon footprint, walled gardens and café. 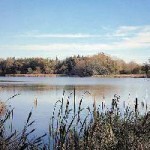 Warnham Local Nature Reserve, Horsham – There is a visitors centre, nature reserve with bird hides, the Millpond Nature Trail and two extensive boardwalks. 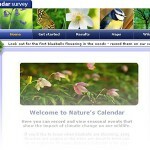 Woodland Trust Visit Woods - The only website where you can find almost all of the woods in the UK where you are welcome to visit. Just search using your post code. Woods Mill, Henfield – this is the headquarters of the Sussex Wildlife Trust and an environmental education centre. This nature reserve provides a peaceful setting, comprising coppice woodland, meadows and a reed-fringed lake. 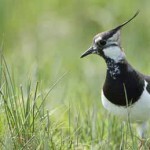 Sussex Wildlife Trust have over 30 nature reserves, take a look here if you want to see where they are. 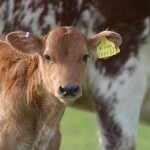 Aldingbourne Trust, Norton, Chichester – There are loads of things to do here…. there is a wonderful nature woodland walk, rare breed animals to pet, you can buy organically grown plants and vegetables, indulge in lunch or just a coffee or take a picnic. 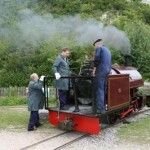 Amberley Museum & Heritage Centre, Amberley, Nr Arundel – 36 acre site set in the South Downs National Park. Dedicated to the industrial heritage of the South East, exhibits include a narrow-gauge railway and bus service. There is a telecommunications hall, energy electricity hall, printing workshop and much more. With a café and numerous picnic areas in stunning rural surroundings. 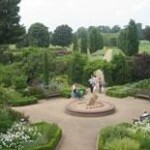 Borde Hill Gardens, Haywards Heath – This is a fantastic estate with 17 acres of formal gardens, woodlands, 200 acres of parkland and an adventure playground to explore. Also a gift shop, gallery with arts and crafts, Café Elvira and Jeremy’s restaurant. Drusillas Park, Alfriston, East Sussex – Just over the border in East Sussex, but worth the trip, a real must for a day out….. This brilliantly laid out park has over 130 animal species in naturalistic environments, jungle adventure golf, Amazon adventure and much much more! 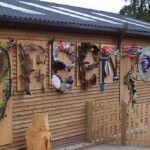 Ferring Country Centre, Ferring, West Sussex is a local independent charity that provides meaningful training and work experience for people with learning difficulties. The Centre offers those that visit a unique, tranquil and calming interlude to their often hectic pace of life. You can meet the horses and other farm animals, walk our nature trail, visit our Garden Centre, picnic in our grounds or enjoy our refreshments. Hollycombe Working Steam Museum, sitated on the Hampshire and Sussex border near Liphook. Hollycombe is far more than just a working steam museum, it’s a place where the past comes to life. From the atmosphere of our traditional fairground, to riding on our steam railways, or wandering through the woodland gardens, there’s something for all ages. 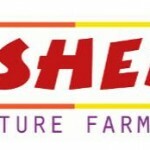 Tulleys Farm,Turners Hill, Crawley - This farm has animals, mazes, fun parks, golf, fresh local food farm shop, restaurant and much more! Time to get the kids away from their ipads, tablets, ipods, laptops, computers or the telly and time to get them on their bikes and into the fresh air (or a on a bike towed by their parents). 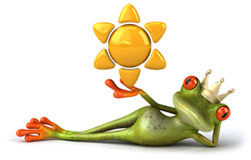 Get Kids Outside aims to bring the outside world, through nature, play and exercise to kids. 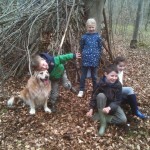 Whether you’re looking in the height of summer for ideas to see nature or whether you want some inspiration in the depths of winter in how to burn off excess energy in your kids you’ll find it here. Get Kids Outside also covers a wide age range – maybe you’re wondering how to bring your baby out while on a run or you have teenagers that you’re desperate to get off screens – you’ll find some ideas for all! Horsham District Council runs a regular programme of Health Walks, some of which are suitable for parents, babies and toddlers, in buggy friendly locations. For other geographical areas look on your local council’s website to find your local coordinator. 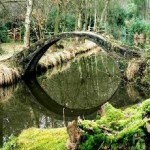 Fancy adding an extra dimension to your days out? Then give geocaching a go. 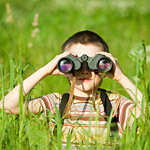 Put simply geocaching is a modern, high-tech take on a treasure hunt and has become something of a worldwide phenomenon. Promising a fun challenge for children (and adults) of all ages, geocaching ticks lots of boxes: it encourages everyone to get out and about in the fresh air, provides a good bit of exercise, offers a chance to test their mental agility, explore different environments (great for boosting an interest in geography!) 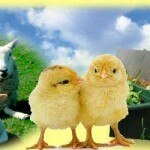 and learn about ecology, as well as enhancing team-building skills. What’s not to love! 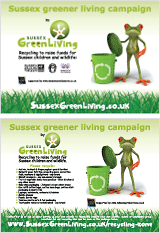 Find out more about the Sussex Green Living geocaches……….